Once you've decided that purchasing an aftermarket heavy duty part for your truck is what you want to do, you need to focus on how to find quality. Certainly, you will find many aftermarket dealers who will espouse the relatively "cheap" cost of their heavy duty parts, but you know that price is not the only factor in your decision. To find the best quality aftermarket parts, remember that not all aftermarket manufacturers are created equal. With a literal glut of heavy duty aftermarket parts for you to choose from, you will find through your research that there will always be companies that stand out from the crowd. Truly intuitive and innovative aftermarket manufacturers know that they don't have to spend their time coming up with new designs, like OEM must do, so they can instead focus their efforts on completely re-engineering heavy duty parts to eliminate any and all flaws or weaknesses. This shows (and as a recent focus group put together by the Automotive Aftermarket Suppliers Association proves), the quality of heavy duty aftermarket parts often far surpasses that of OEM. When looking for exceptional quality, it pays to do your research on the company you are going to be purchasing your heavy duty aftermarket parts from. At FleetSpec, our state-of-the-art remanufacturing process and testing facility enable us to consistently produce the finest products on the market today. Combined with the experience of our team, who have been remanufacturing high quality air brake products for over 20 years, the quality of our heavy duty parts is always assured. To find quality aftermarket parts, look for a name you can trust. 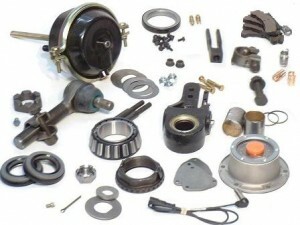 Unbranded heavy duty parts will often not provide you with the peace of mind you need when shopping the aftermarket. But with FleetSpec, you will always receive consistent, high quality, unbeatable heavy duty aftermarket parts. Don't believe us? The proof is right here.